The Acute Rehab Unit (ARU) at Regional West Medical Center is accredited by the Commission on Accreditation of Rehabilitation Facilities (CARF) and by the Joint Commission. Regional West's ARU has also received special accreditation from CARF as a certified Stroke Specialty Program. These designations represent the highest level of accreditation that can be awarded to an organization and underscores Regional West's substantial conformance to the CARF standards. To earn a three-year accreditation, the ARU underwent a rigorous peer review process, most recently in 2014, and demonstrated to a team of surveyors during an on-site visit that its programs and services are accountable, measurable, and of the highest quality. 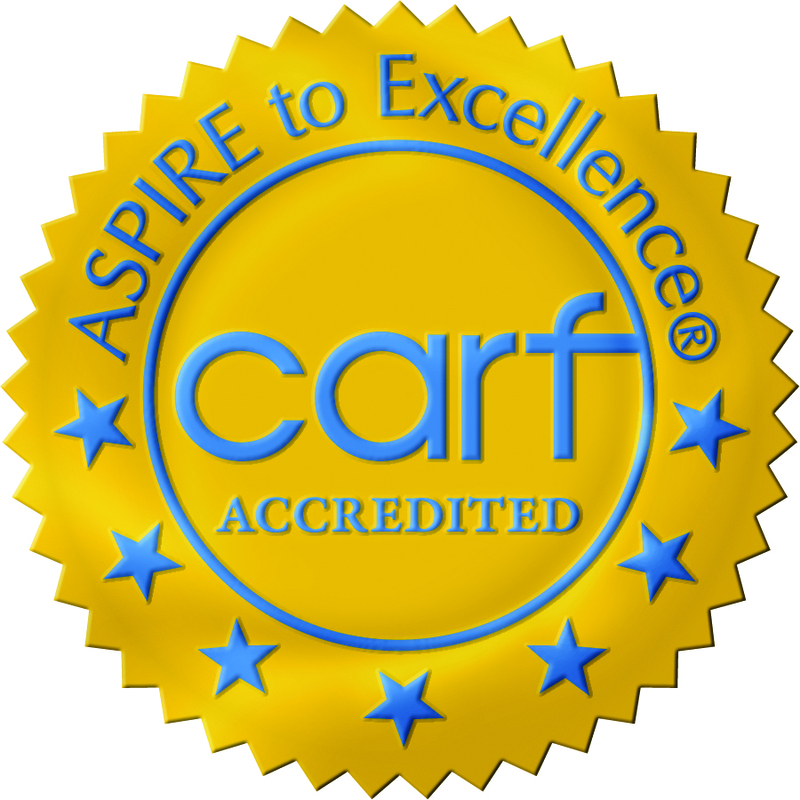 Why is CARF accreditation important? Employing qualified professional physicians, nurses, therapists, and social workers. Personalizing care plans to fit the needs of each patient. Providing patient-centered care, including prompt response to patient needs and questions. It is obvious that ARU fosters a caring, professional, and person-centered environment. All staff members seem committed to the care, satisfaction, and well-being of those who are entrusted to their care. Low beds, portable lifts, and a ceiling lift with bariatric capability, bed and wheelchair alarms, and interdisciplinary team huddles have contributed to the promotion of a safe environment for persons of high risk. Reported reduction in injury events has been a result of continuous reinforcement of safety concepts among team members. The medication administration process and ongoing education have promoted gradual increased independence and encourage persons served to be actively involved in self-care. The ARU was commended for implementing a Patient Advisory Council. This is a group of highly committed, articulate, supportive volunteers who are available to meet with persons served who are experiencing diagnoses similar to those with which the volunteers have prior experience. These volunteers bring a realistic and positive perspective to persons served who benefit from their support. They cover a wide age range and diagnoses, and the service they provide is highly valued by staff and program leadership. The rehabilitation unit has established an impressive process for nominating rehabilitation persons served to be recognized and to serve on a Patient Advisory Council. A picture and a short biography of each are prominently displayed throughout the unit. This is a very inspiring practice for persons served and their families to see, and demonstrates the commitment of the organization to advocating for the persons served. This council meets regularly and gives input to the strategic plan, technology plan, and accessibility plan. The group also regularly contributes to activities on the unit and acts as peer mentors.